PicGIF Summer Sale - Saving up to 50%! Get this easy and quick GIF maker to create awesome GIFs from your photos and videos. Create animated GIF from your photos. Transfer short videos to smooth and vivid GIFs. 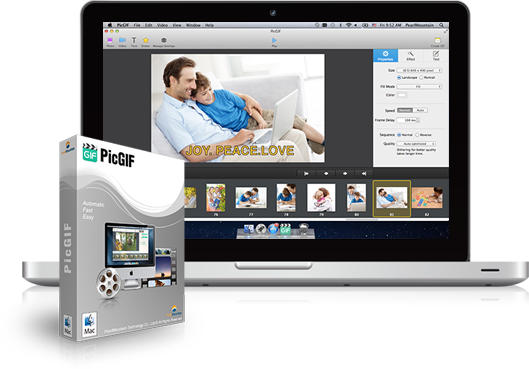 Get this summer special offer of VideoGIF at 50% OFF to turn your videos into animated GIFs. Trim any part you like from a video to create animated GIF. Insert and customize text easily. Customize and fine-tune your GIF at ease.